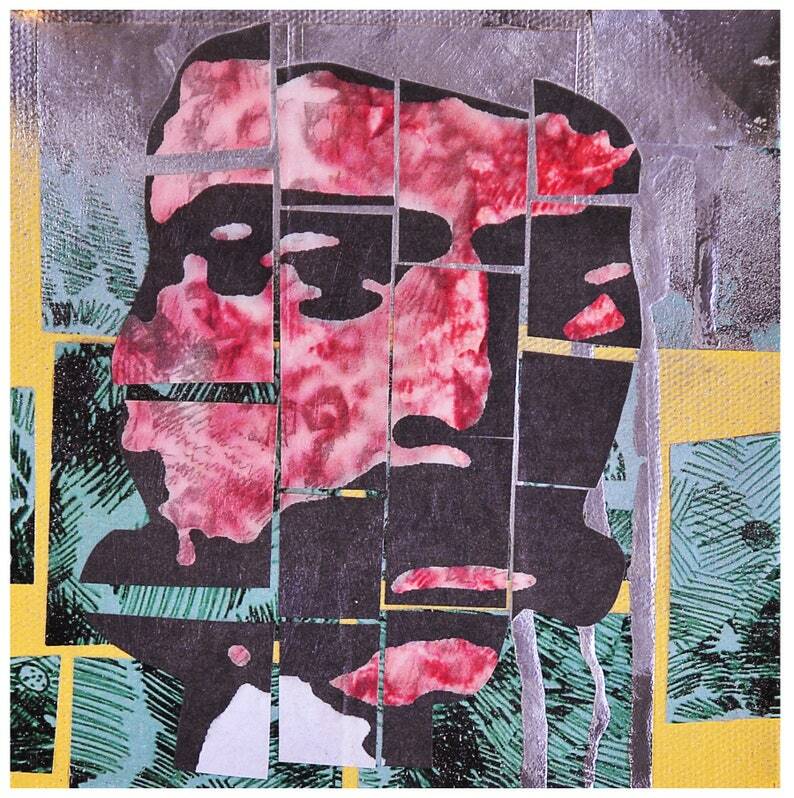 Mixed media collage of hero Emiliano Zapata. 6x6 inches. Made with Paper and spray paint. Some handmade paper on canvas. Emiliano Zapata, Tiger of the South, Southern Mexican revolutionary hero. I like portraying Emiliano Zapata because he was fighting for land reform for his people and he had integrity and couldn't be bought by the rich and powerful.